Community » Forums » Events » [FT] Spoiler Zone! This topic is made to receive any of the spoilers concerning new features you find or feel like sharing. Players that are in the test may decide to share what they are experiencing or not. Of course please remember to use the spoiler banner when sharing new information with everyone. Make sure you are removing the asterisks (*) before posting. You can post screen shots as long as you also use the spoiler banner to cover them. On this topic, you may talk about what isn’t on the game yet. Warning: We do not guarantee that any of the info that is posted in here is true or accurate. Nor that the features will be launched on the game. Please remain polite with each other; no one has the prerogative of spoiling or a patent on the rumours and spoilers that are on the game. Is it worth getting the divine? or would it be best just to waste 2 extra steps to claim prizes? I'm not a pass buyer. I can kill off 10 pass horses next month but even that would be expensive at 170k per horse. So is there a prize location list for the Maze event this time? yes, i would like to know too! 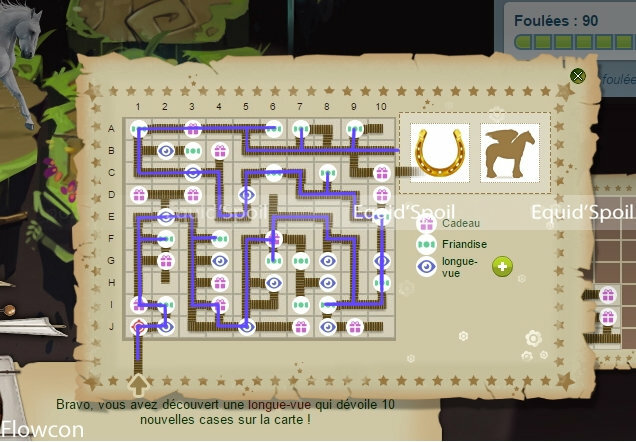 i found the maps on the previous page, but there is no prize list. i'd hate to waste paces on dud prizes like a 1*bridle, or 10 carrots. Those map images are gone now... does anyone else have them?? 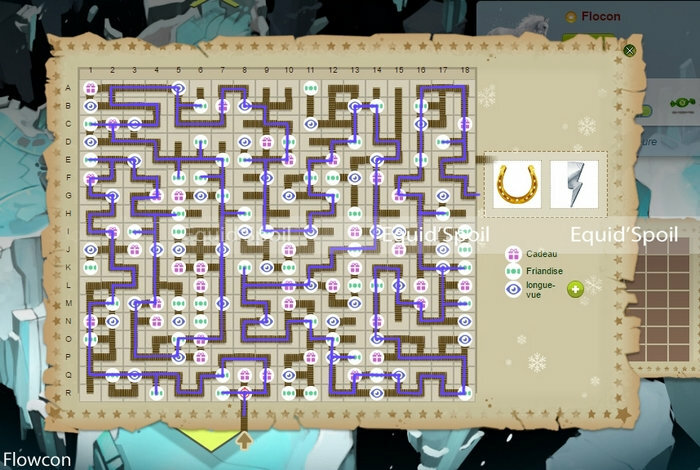 Has anyone calculated how many passes it will take to finish the maze if no moves are missed and the map is followed exactly? Has anyone showed what prizes are where? on the previous page in a hidden topic, there are two players' calculations for the amount of passes that will be needed. the prize change for everyone. The maps are in legacy Ann's master post on the last page or you can find them in the topic for the event on the first page in a spoiler about halfway down. I just got a Preprod pm. I thought you had to be VIP? I got a prepod pm as well. Maybe it's because we reached 1k days within the last month? This information is the same stuff that I posted one page back. All the info is showing fine for me under my masterpost so if you can't see the images then it's likely your device/browser or you're looking in the wrong spot. 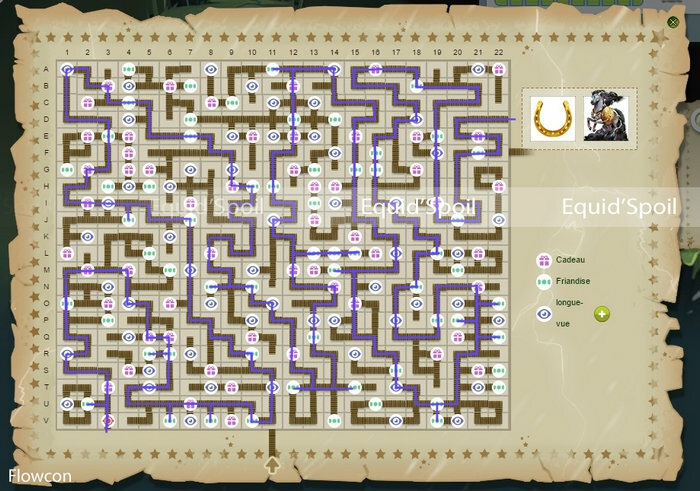 Pass estimate for the Maze that link to the posts in question: Just a note that I completed the Maze event in August and only opened 11 T.Cs. Maps for all 4 mazes. I recommend opening the image in new tab and saving it to your PC so you can zoom in if needed. these maps are courtesy of Flowcon who posted them back on page 2049. So if anyone wants to bump the maps after the event starts you can go to that page and quote from that post. No I got the preposition message too. I think it went out to all/most players. Prepod* sorry it was autocorrect. Do you know, how far can one go, without spending a single pass? I got a Prepod pm too. I hope I have given a good motivation .. I got a Prepod pm too - I really hope I get in! Could anyone with a horse that has a regeneration of 5 paces per hour tell me what its skill are? All of mine only get 4 per hour.